This is my newest tray. I stuck it on the console table in my living room with a few stacked books, candle and decorative candle holder. I love the dark square pattern and think it’s perfect for a table top. Here’s a similar option. 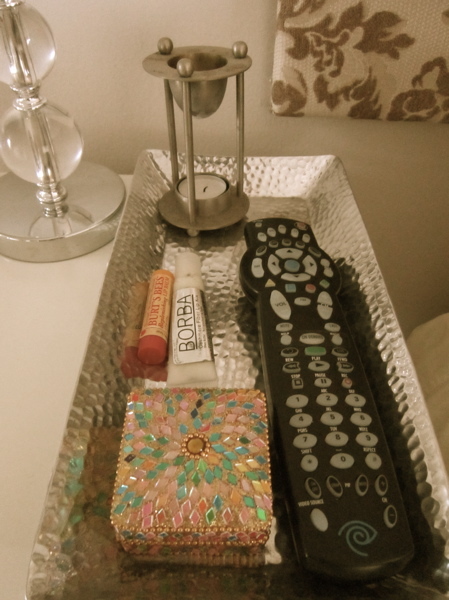 This next tray helps organize my nightstand. It’s always nice to have things like chap stick out so you don’t have to dig for them when the lights are off, but keeping them steady on the stand can be tricky. 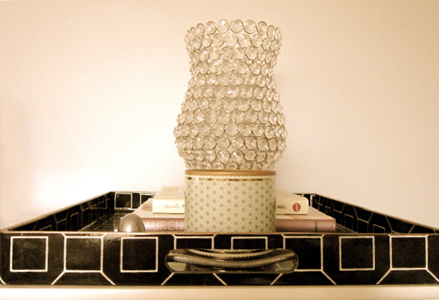 A cracker serving tray would actually work well in this space because of the rectangular shape. My last tray is on one of my bedroom dressers. 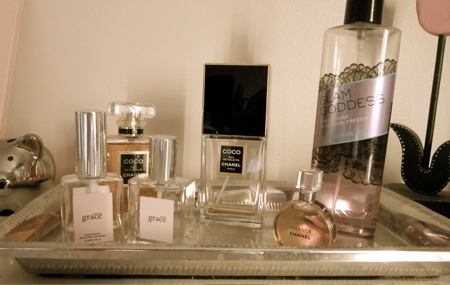 I love to display perfume on a tray, it’s feminine and the bottles look even prettier when reflected off a shiny surface. I found this similar option that would look great with fragrances lined up on top, but could also double as a serving tray. Win win.